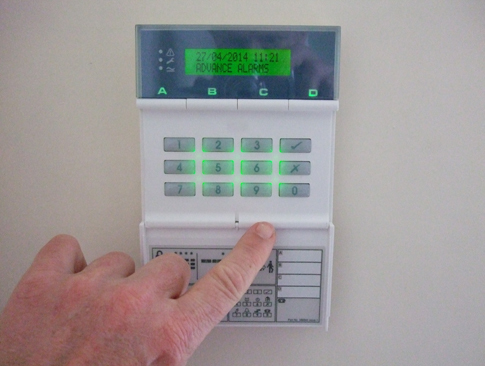 Standard LCD keypad with upto fifty individual codes. 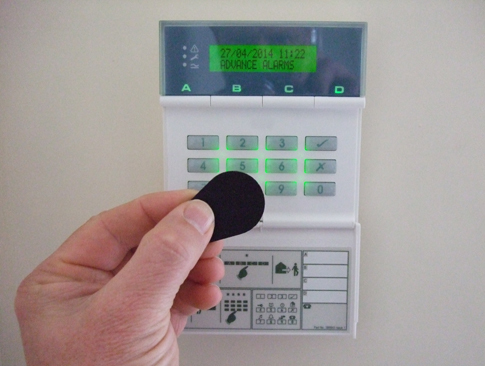 Proximity LCD keypad with upto fifty codes and forty nine proximity key fobs. 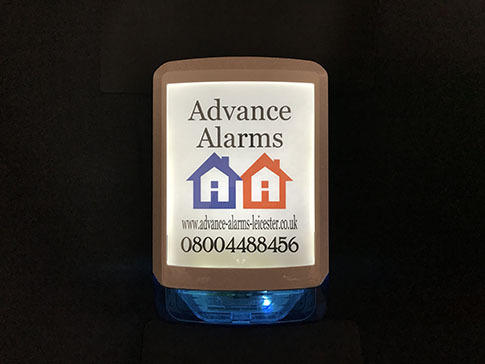 Exterior bell box fully illuminated with two blue alternating LED lights. Hydrid control panel with 16 hard wired and 24 radio zones. Radio control panel with 30 radio zones. 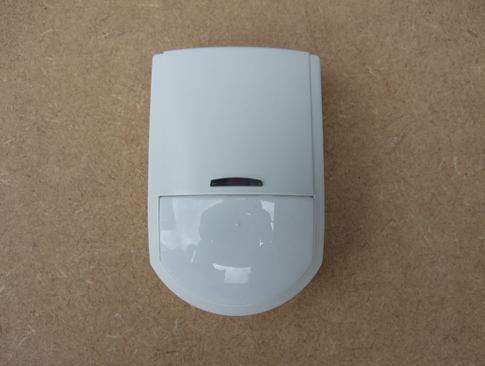 Standard PIR sensor, 90 degree viewing angle with up to 12 meter detection. 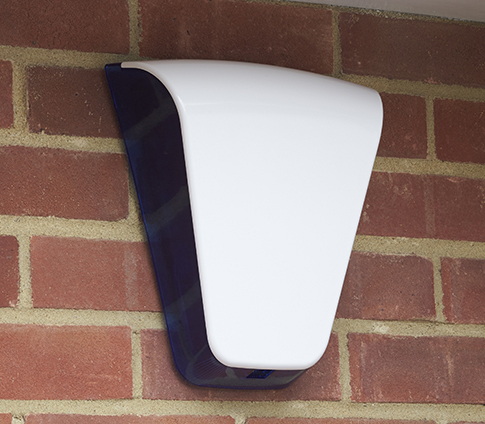 Dual tech PIR sensor designed for hostile environments such as garages and conservatories. 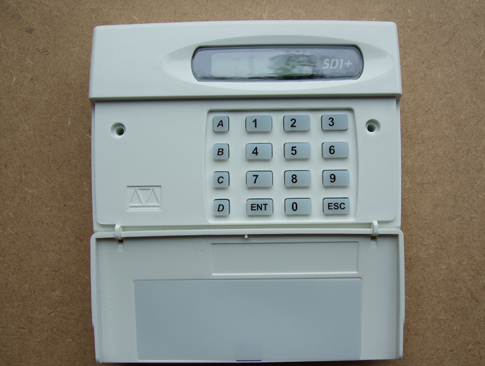 LCD keypad, comes with five proximity key fobs. Upto sixteen individual codes. Pet friendly or normal PIR, uses two AA Duracell batteries which will last forty months. Wireless door or window contact. Either wireless, wired or decoy with comfort lights. 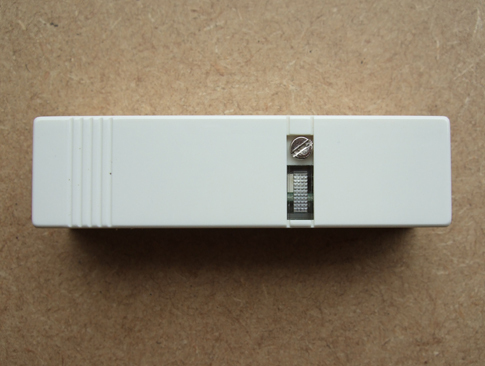 Pet tolerant PIR sensor, designed to allow you to set your alarm system with your pet still in your home. These are active 24 hours a day. When activated they trigger the alarm with an alternating audible tone alerting you there is a fire ect. 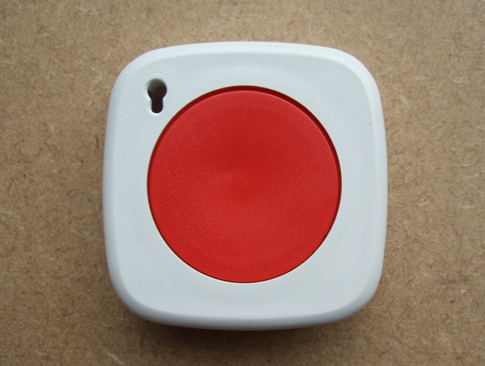 Panic buttons can be positioned anywhere in your home, active 24 hours a day, pressed in case of an emergency. Internal sounder that will give you increased volume on entry and exit. Also will give you full volume if the alarm system activates. Vibration detector usually installed on windows and doors, will detect violent vibrations i.e. an intruder trying to break in. 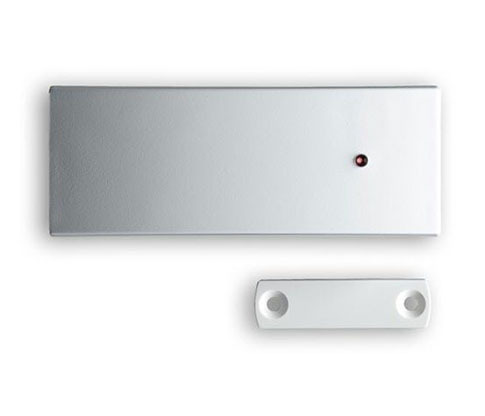 Surface mounted door contact, usually positioned on top of a door, activated when the door is opened. LCD screen and keypad. 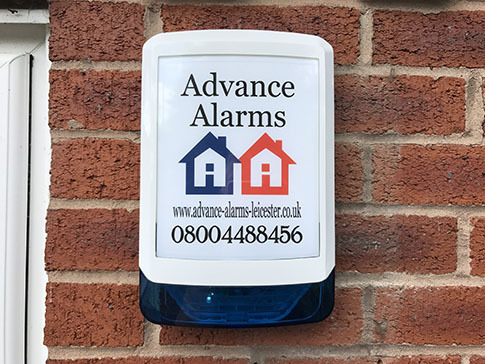 Dials up to four chosen telephone numbers, landline or mobile with a pre-recorded message, informing the recipient that there is an alarm contition. LCD screen and keypad. Dials a landline or mobile with a pre-recorded message and/or text message, informing the recipient that there is an alarm contition. Invincibell E Landscape Invincibell E has two alternating blue LED lights active 24 hours a day (highly visible at night). The bell box contains a siren, strobe light, tamper circuit and a power cell. Invincibell E Portrait Exterior sounder with the same specification as the Invincibell E Landscape, the box is turned through 90 degrees for the portrait view. Two alternating blue LED lights at the bottom of the case. Invincibell Plus Exterior sounder with the same specification as the Invincibell E, but also has full box back lit illumination, for added visibility in the dark. LCD Keypad LCD keypad with a back lit screen and keypad, one full set and three part sets (i.e. 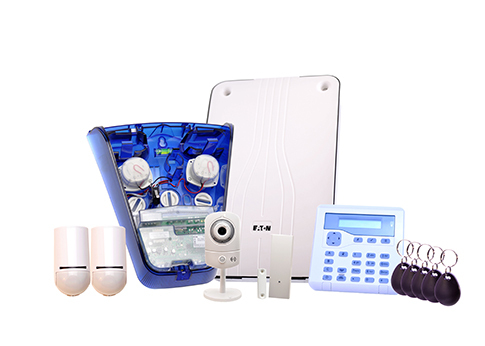 day, night or part set), a built in panic button and up to fifty different individual codes. 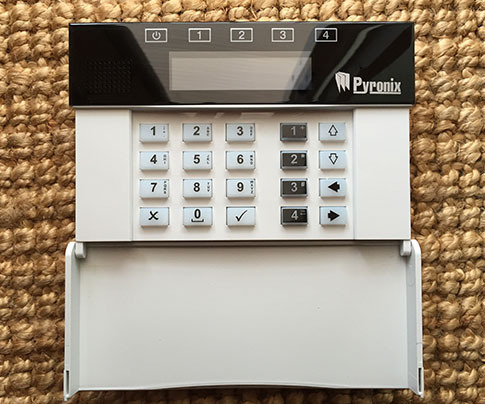 LCD Proximity Keypad Same specification as the LCD keypad, but with the option of up to forty nine individual proximity key fobs. 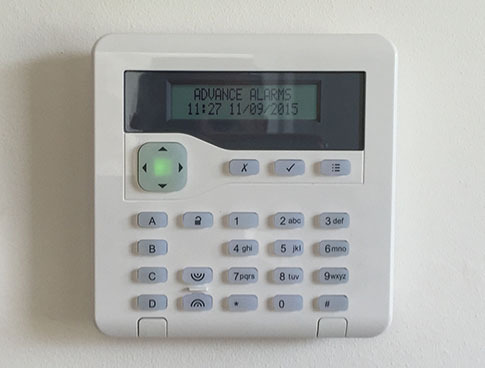 Each user has a key fob and a code, either will set/unset the alarm system. Invincibell Plus At Night The Invincibell E has the two blue LED lights (as above). So does the Invincibell Plus but also has back box illumination. 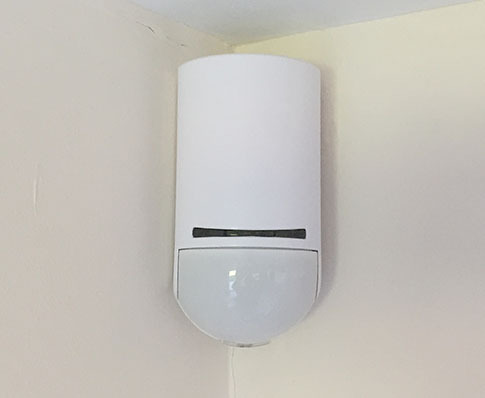 PIR (Passive Infared) Sensor PIR (passive infared) sensor usually positioned in the corner of a room, 90 degree viewing angle with up to 12 meter detection. 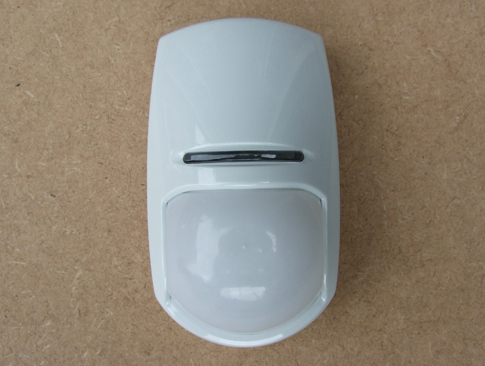 Dual Tech PIR Sensor Dual tech PIR sensor designed for hostile environments such as garage and conservatories. 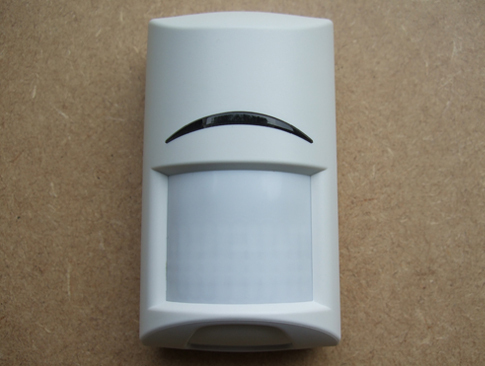 Pet Tolerant PIR Sensor Pet tolerant PIR sensor, designed to allow you to set your alarm system with your pet still in your home. 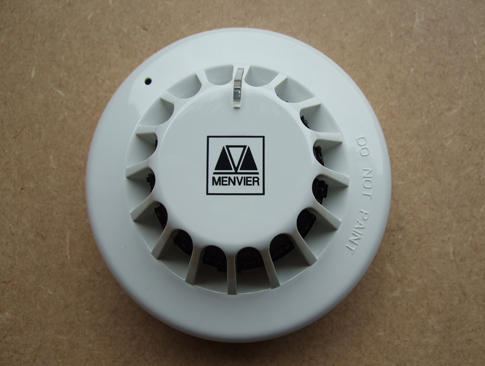 Smoke, Heat or Rate of Rise Smoke, heat or rate of rise detector, active 24 hours a day. 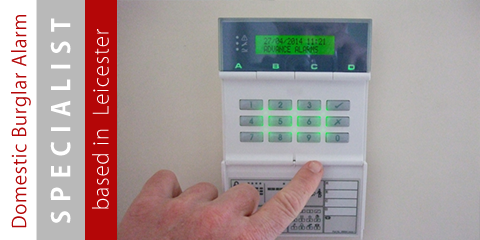 When activated they will trigger the alarm system with a different audible tone to the normal activation. Internal Sounder/Speaker Internal sounder that will give you increased volume on entry and exit. Also will give you full volume if the alarm system activates. 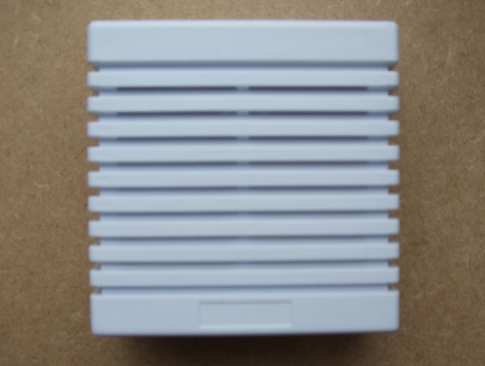 Vibration Detector Vibration detector usually installed on windows and doors, will detect violent vibrations i.e. an intruder trying to break in. 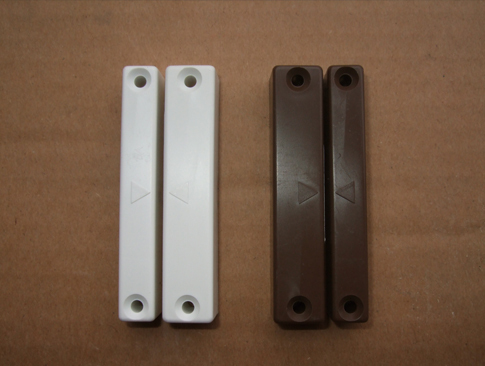 Door Contact White or Brown Surface mounted door contact, usually positioned on top of a door, activated when the door is opened. Autodialler Autodialler with an LCD screen and keypad. 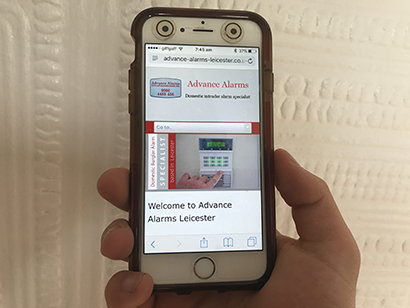 Dials up to four chosen telephone numbers, landline or mobile with a pre-recorded message, informing the recipient that there is an alarm contition.